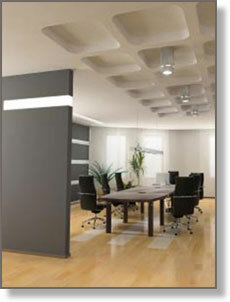 Are you looking to give your current office or work place a face lift with a new design and layout? Will this refurbishment include new office furniture, storage, fixtures and fittings? Or perhaps you are moving to new premises and want to get the new space refitted and looking professional for employees, potential clients and visitors. When completing an office refurbishment or refit it must be planned, organised, budgeted, and managed correctly resulting in the seamless occupation of your newly designed office space. You will need to select complimentary office furniture styles, choose colours and and units that fit the shape and size of your offices. You will need to consider the budget of your refurbishment and where possible buy furniture in bulk where you can make use of discounts and savings. The timing of your refit should be planned to ensure you can make alternative arrangements for client visits and day to day activities. These are just a few of the things to think about. Success of the refit phase lies in detailed planning and everyone that has carried out a refit knows that this project is like staging a wedding or a war – the planning is critical! If a refurbishment goes wrong then it could lead to a poor design solution with no thought for expansion or future alterations. You could experience delays in completion, budget overruns and total disruption to your day-to-day business. To stop any of this from occurring we get under the skin of your new office and meet with the management team to build a picture of working in the building. When we start work on an office refit, we ensure no assumptions are made that may lead to delays and cost overruns. The large expertise Easy Office Furniture have with refits provide our clients with the confidence that the most specialised and complex requirements will be met with a design that is both practical and attractive.